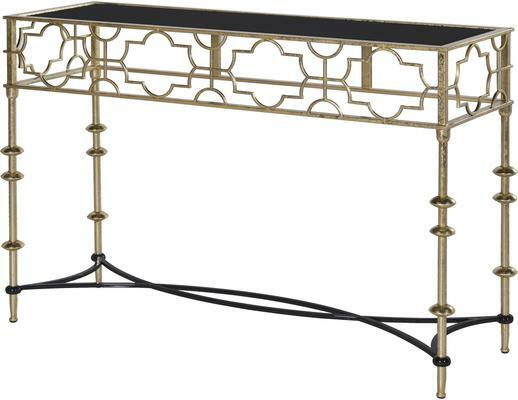 Designed for sophisticated interiors, this Arabesque Console Table is truly striking. 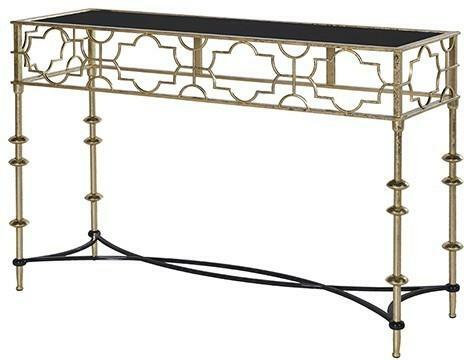 Perfectly handmade by expert artisans, this table is crafted using a combination of glass and metal. It's made with a slim, rectangular design and fitted with thin, decorative legs. There's a stylish cross bar at the bottom as well to even out the design. The mirror includes a smooth, top surface ideal for holding a lamp or a vase of flowers. Decorative designs are fashioned all around, giving the console a unique Arabesque feel.